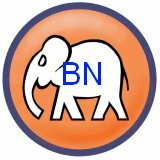 If I only say NO to BN all the time, I will be like a spineless sycophant to a political party. It’s right time for me to start this section to expose PR weaknesses after PR has been running four state governments for three years. No more so-called teething issues and excuses are accepted. Below are screw-up samples for PR Selangor. – Free water to ALL rich families. – One million budget for a PKNS annual banquet. – Three to five Chinese students received state study grant each year. – RM30 million missing fund for a so-called propaganda campaign against BN. – It’s ok for PKR female exco with extramarital scandal to keep her job, but not ok for Chua Soi Lek to do so. – A modern pig farm in the boardroom. – More internet gambling cafes and massage parlors than ever. – Misused RM300,000 public fund for a PR ADUN’s medical expenses. The assembly allocated special fund for an Adun’s medical expenses is a gross abuse of public fund. The medical expenses should be borne by Adun himself or his medical insurance company, not from the public fund through a special allocation. Reason 2: Penang PR exaggerated FDI inflow was mainly due to their efforts. That claim is not true, there is not a single successful manufacturing FDI deal in Penang was attributed to LGE and his Invest Penang Team. Read this story for more insightful analysis about PR twisted facts. Penang PR twisted facts are exposed. Reason 1: Penang state government under Lim Guan Eng betrayed Indian community by signed off Kampung Buah Pala’s sale agreement. I do not deny it was previous BN government initiated the sale, but PR government under LGE has very golden opportunity to struck off the deal when the buyer failed to make full payment within 30-day grace period. LGE chose to approve and sign the deal under his nose and dared not to disclose PR state executive meeting minutes to prove he is innocent. This may explain why LGE had never visited Kampung Buah Pala before it was demolished. 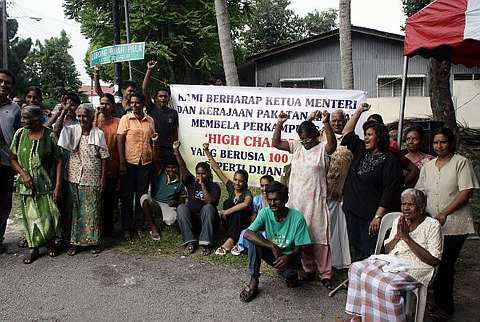 PR promised to residents in the Kampung Buah Pala that the village will never diminished from the earth IF PR wins the election and forms the new state government. Yes, PR won in Penang! Now PR politicians and supporters condemned KBP residents as ungrateful squatters. This scandal has pissed off Malaysian Indians on PR government’s trustworthy and decided to make a sharp u-turn to support BN again. Vote BN in, then you get GST! How your run a country with this kind of u-turn and flip-flop policy? Do you trust PR with its conflicting policy? where is the rest of the reasons? I may have to wait for another 45 year to list 100 say no to PR reasons.